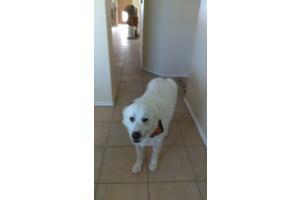 Sadie is a loveable “big white polar bear,” just keep petting or that huge paw will give you a wack. She is a 94 pound 7 years old female and was an original rescue from LA in 2013; adopted 5 years ago with another rescue dog, Sage. Sadie stays indoors most of the time, with a dog door to go outside and has recently been up to her old tricks, of climbing the chain link fence, to “go for a run,” with no concern for traffic or where she ends up. 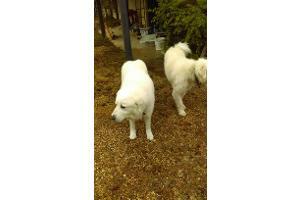 Owner had to make a difficult decision to put safety of dogs above their love and companionship. Needs lots of lovin! 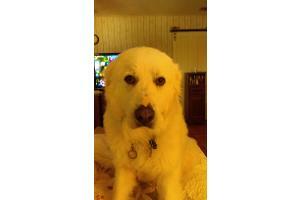 Would love it if Sadie could be adopted with her best buddy Sage, but not a requirement.